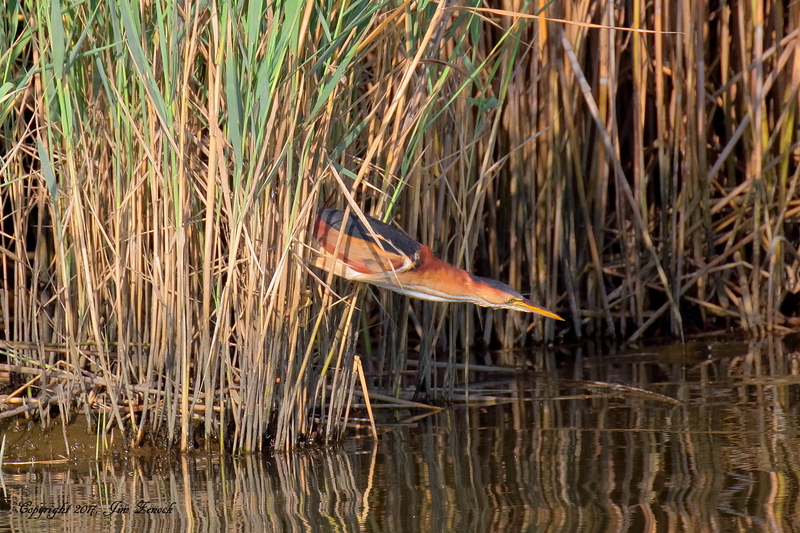 Thanks to Ron Shields for these great photos from a recent excursion into the Kearny Marsh! 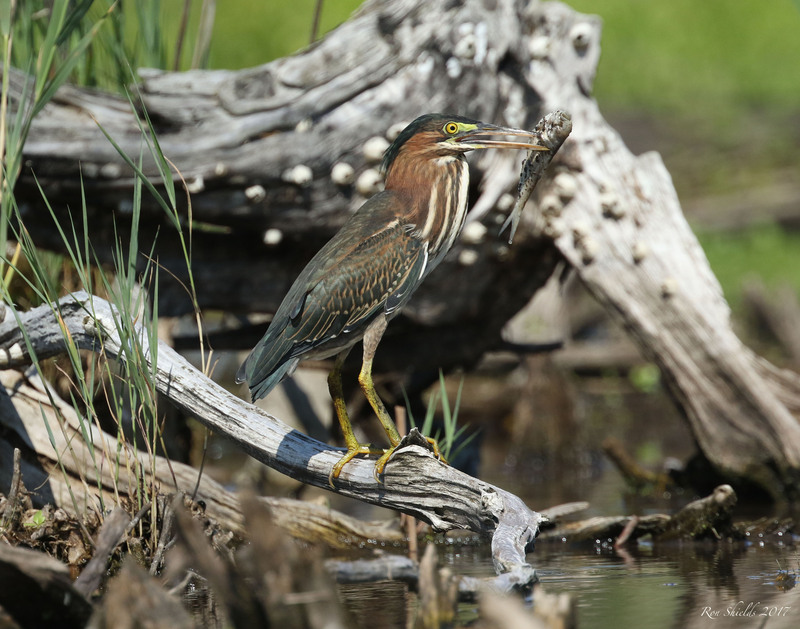 Don Torino’s Life in the Meadowlands: Will Conservation Survive in Suburbia? 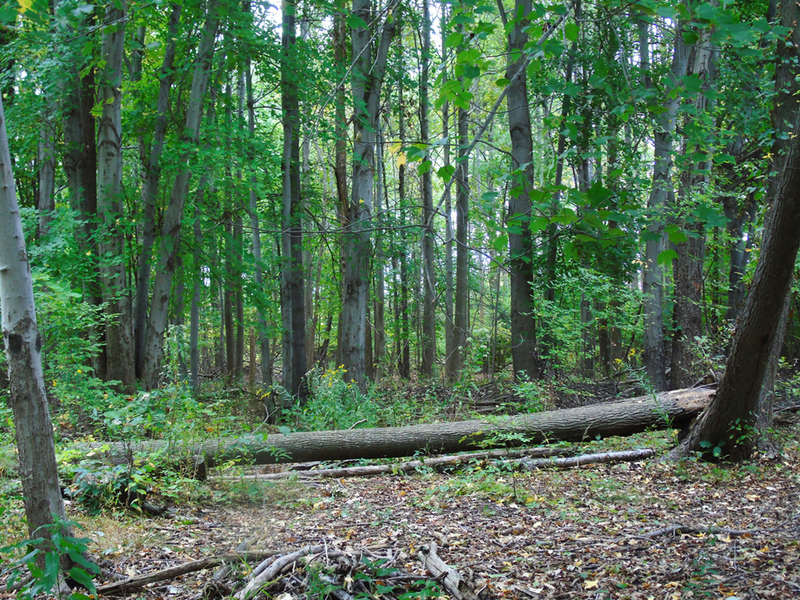 When most people are asked about important conservation issues, the topic of the discussion usually goes directly to subjects like saving the rain forest, maybe stopping pollution, or perhaps even turning back climate change. For sure all are very serious conservation issues that we all should be working together every day to solve. But rarely at the forefront of concerns are the conservation issues taking place right here in the places many of us live: suburbia. 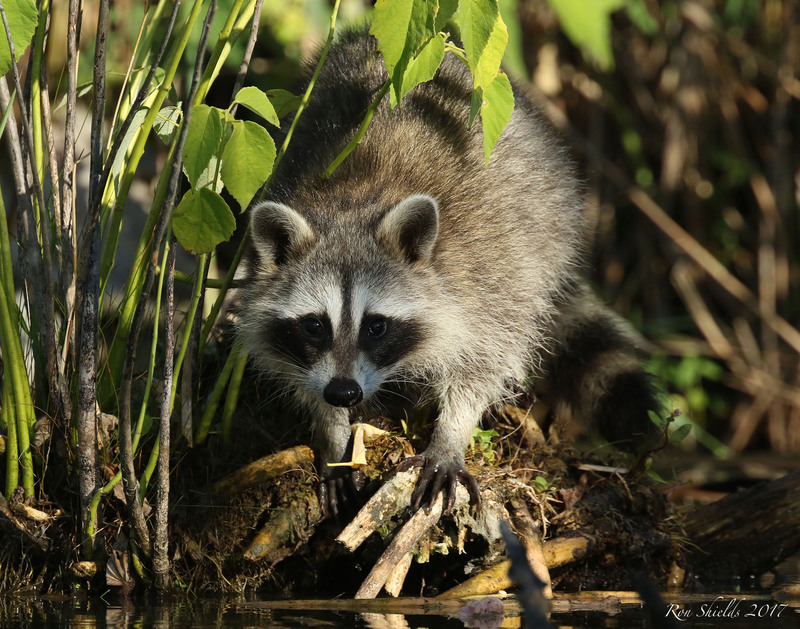 Issues that are very serious, many that will decide the future of the wildlife and communities that they and their children will live in for years to come. 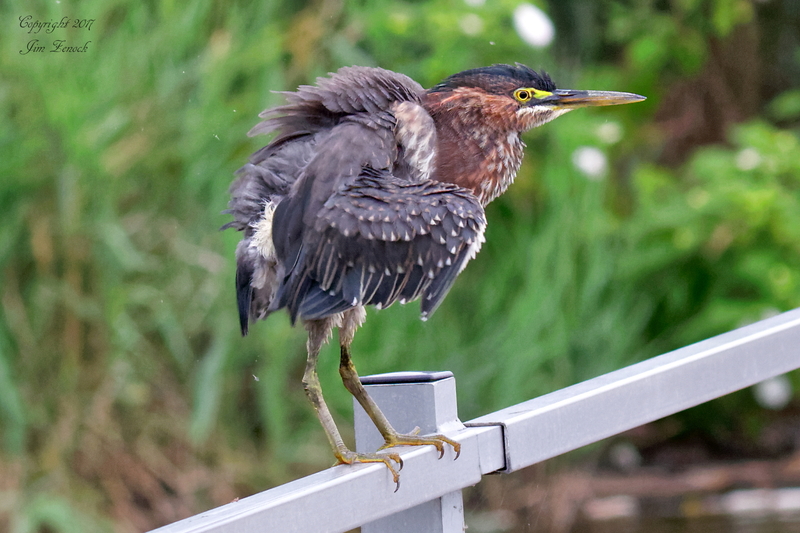 BCAS Nature Walk This Sunday (Sept. 3) at Mill Creek Marsh!!! 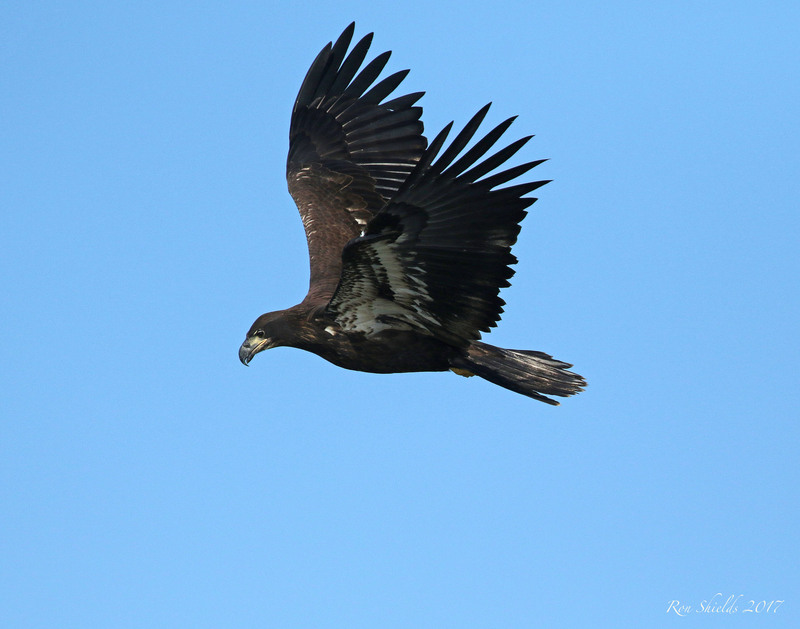 Join the Bergen County Audubon Society Labor Day weekend for a guided nature walk! 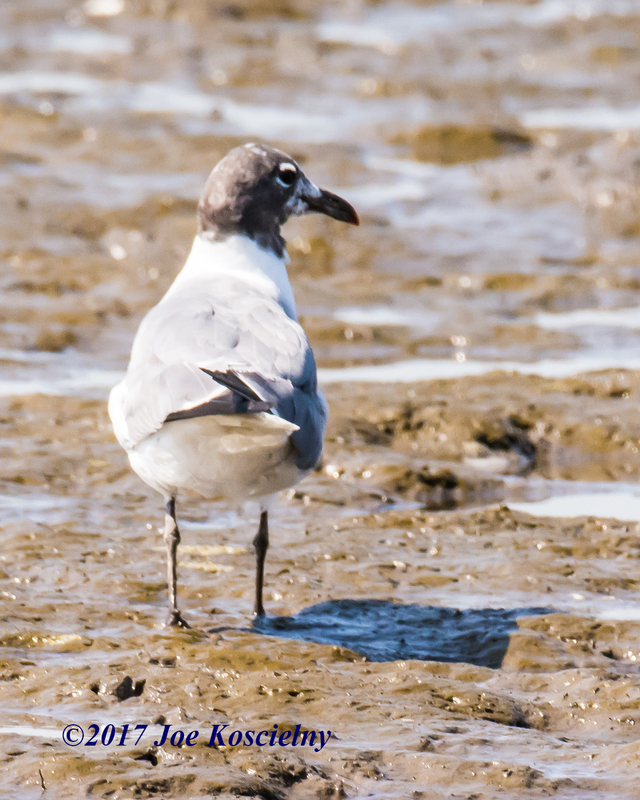 On Sunday, Sept. 3, from 10 am to noon, the BCAS will lead a walk at Mill Creek Marsh in Secaucus, a prime location for bird watching. 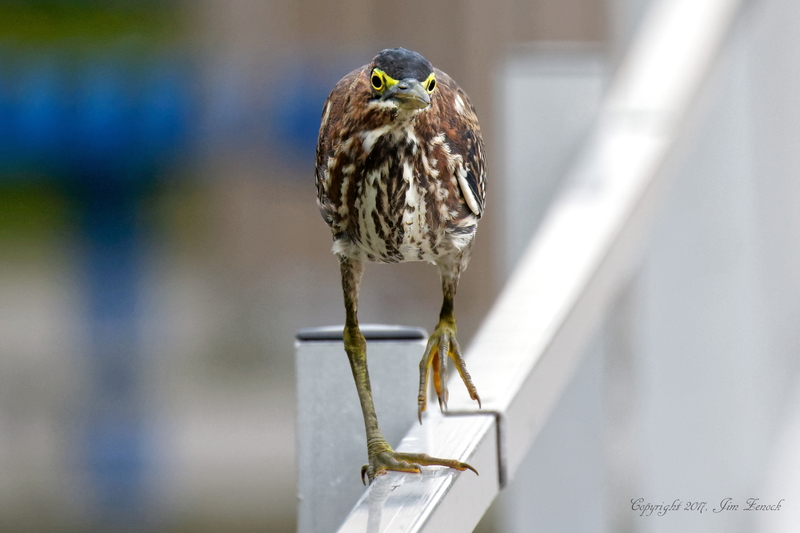 They’ll be looking for Dowitchers, Warblers and other fall migrants. Park and meet in the parking lot at the back of the Mill Creek Mall by the Bob’s Furniture Store. Things are changing in the Meadowlands. Despite the summer sun and what date it may read on your calendar, summer is slowly waning. Nature has no date book, apps or Iphones. Rather, it prepares as it has done for eons despite our best efforts to have one more visit to the beach and another barbeque on the deck. But now there is magic happening. 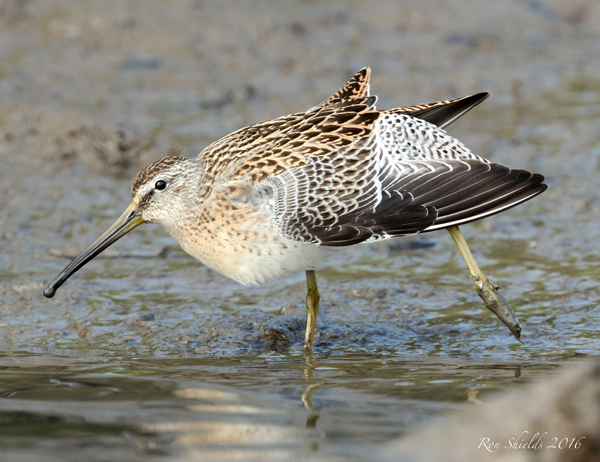 The Semipalmated Sandpipers are congregating by the thousands on the mudflats of the Meadowlands, resting and refueling for their incredible journey that began in the Arctic and will end in South America. 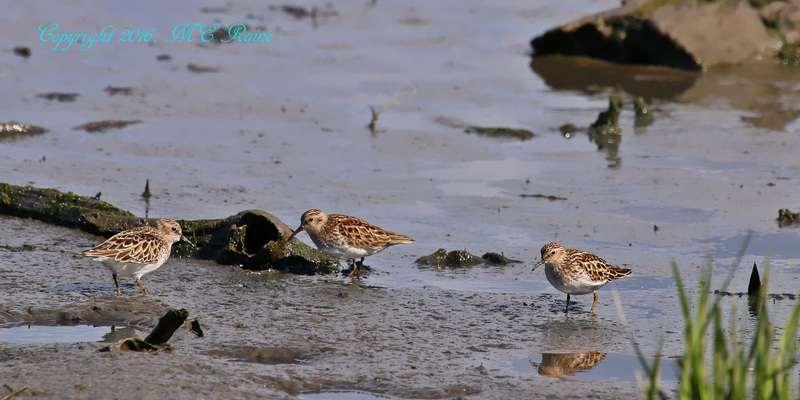 The Yellowlegs , Egrets and Plovers can also be seen now, meeting together and well aware that summer in the Meadowlands is rapidly leaving us behind. 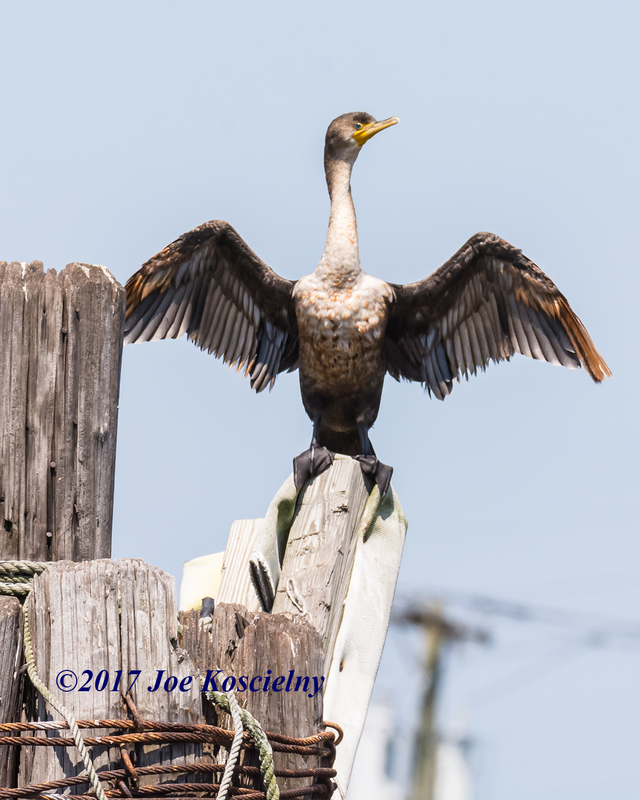 Thanks so much to Regina Geoghan for sharing her thoughts on last Thursday’s Birding By Boat trip in vivid detail with some great analogies. We look forward to more of Regina’s writing! 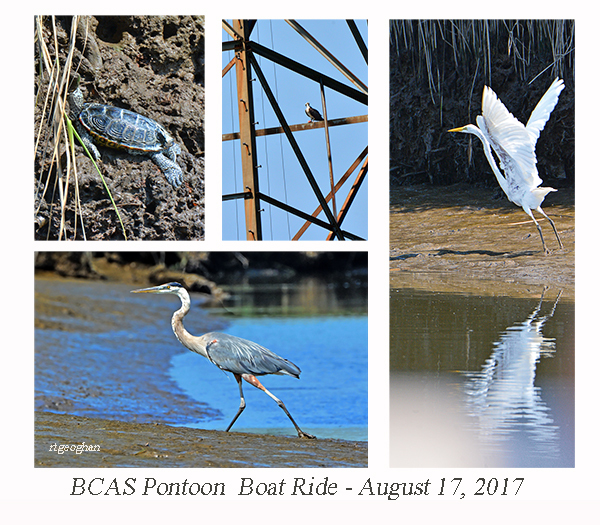 Photographs taken while on a Bergen County Audubon Society Ponntoon Ride on August 17, 2017. diamondback terrapin turtle, osprey, Great Egret, Great Blue Heron. A slight breeze ruffled the humid, warm air under hazy skies, foretelling a sultry, hot August afternoon to come. 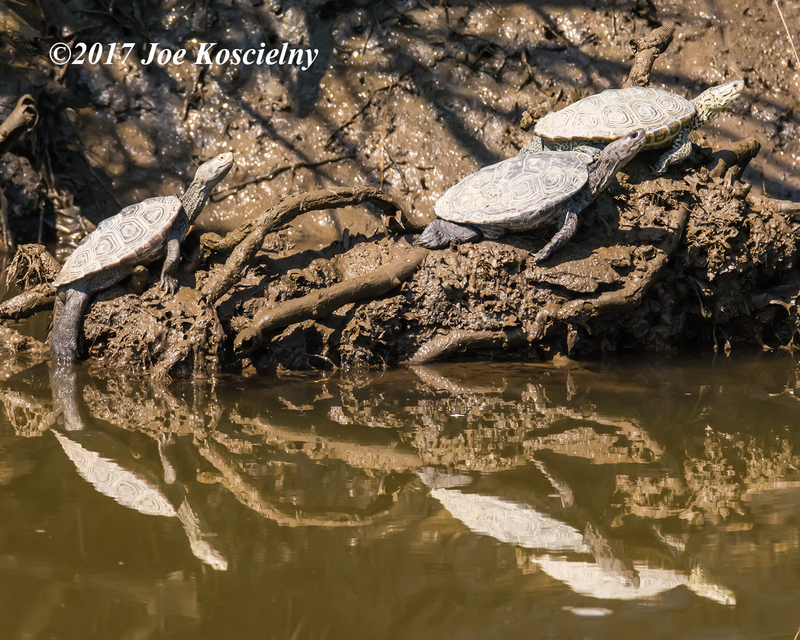 At 10 a.m.,though, it was comfortable as people boarded pontoon boats for a trip along the Hackensack River and its tributary creeks. 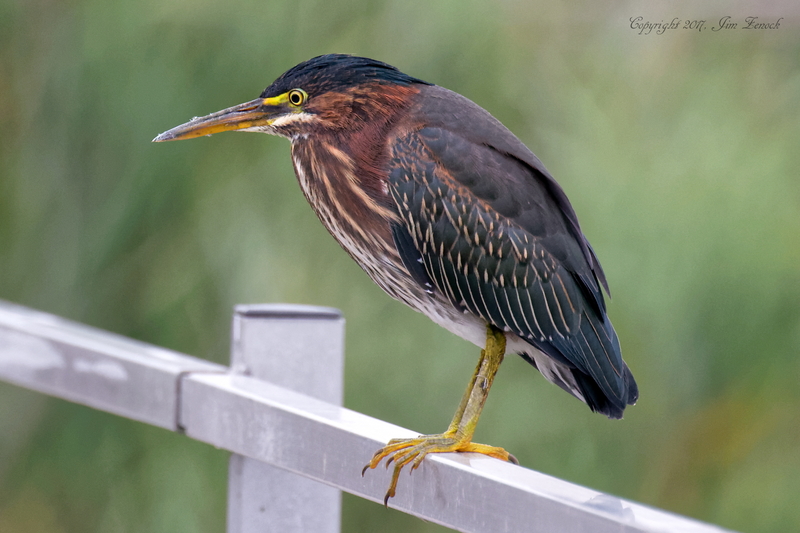 Birders of all levels, binoculars and cameras ready, were eager to head out to explore the sights and sounds that the New Jersey Meadowlands waters and marshland would reveal to them on this day. Gulls and cormorants, perched on marina poles, squawked a bon voyage as we departed and headed south. 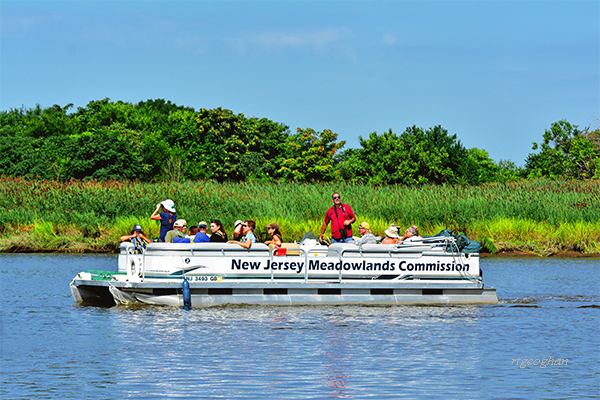 With the boats purring along at a leisurely pace, the breeze picked up, and the magic of the Meadowlands took hold. 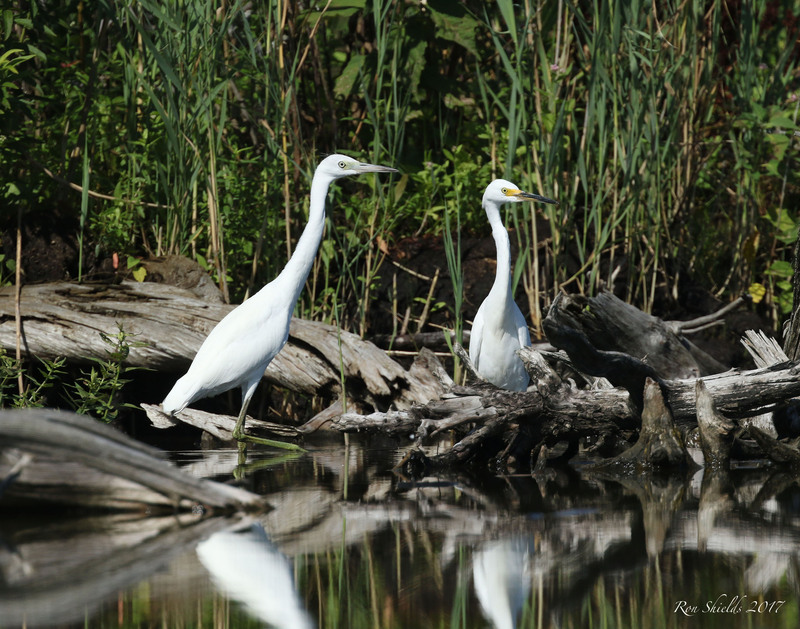 Before long, a few Great Egrets and Snowy Egrets were spotted on the river banks and any thoughts other than enjoying the peacefulness and the anticipation of the trip were blown away with the gentle wind. 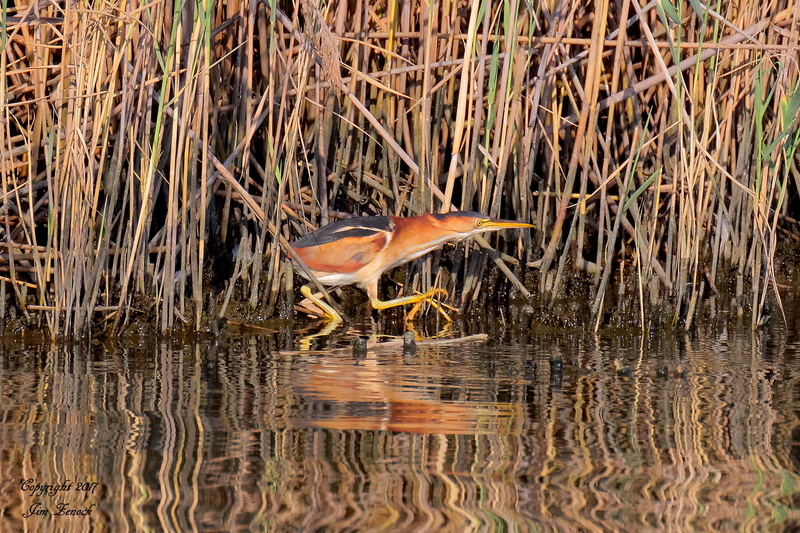 Great photos of a Least Bittern emerging and a Green Heron taken by Jim Zenock at DeKorte. Thanks Jim! 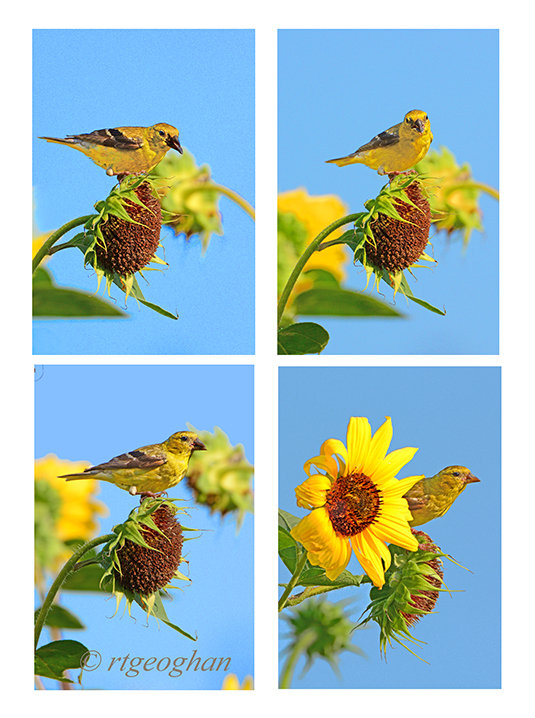 A montage of four images of a happy little goldinch munching on sunflower seeds at Richard W. DeKorte Park in the New Jersey Meadowlands. Thanks to Regina Geoghan for this collage of a cute-as-can-be Goldfinch feeding on some sunflower seeds that she took yesterday early evening at DeKorte. Thanks Regina! 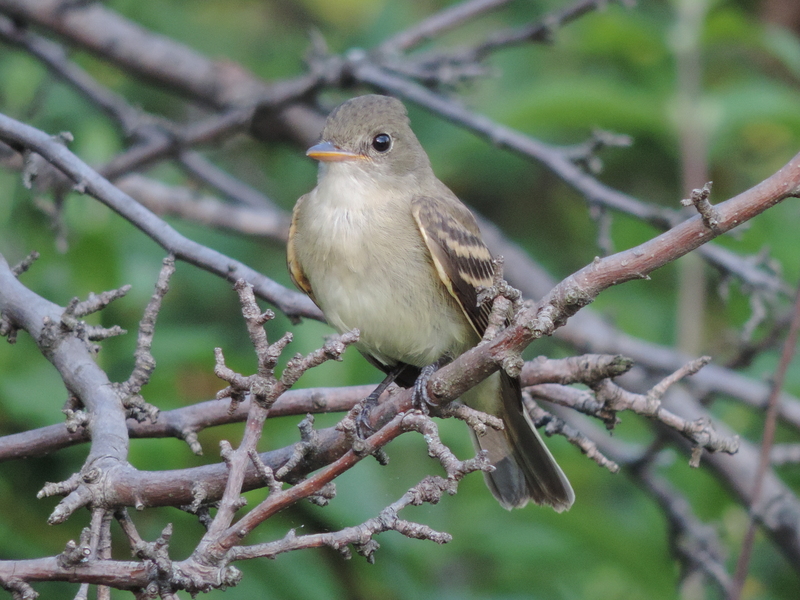 Here’s a Willow Flycatcher to start the day. 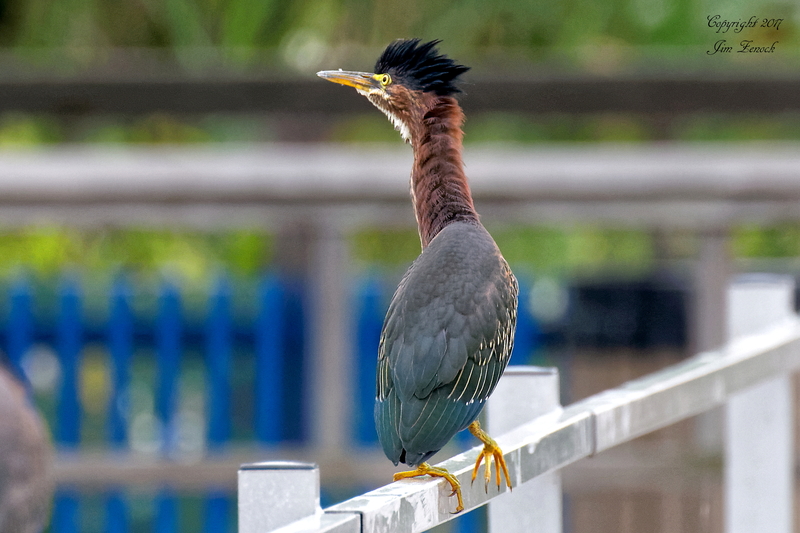 It’s one of several that Rich Brown saw at the Kingsland Overlook in DeKorte on Saturday. Thanks Rich! 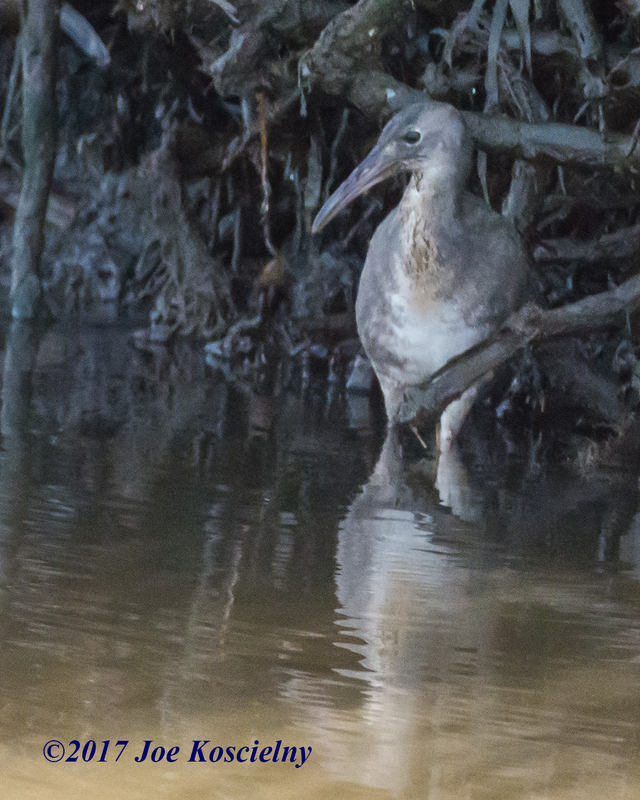 We almost forgot the highlight of Tuesday’s BCAS Birding by Boat trip: The secretive, hard-to-photograph Clapper Rail! 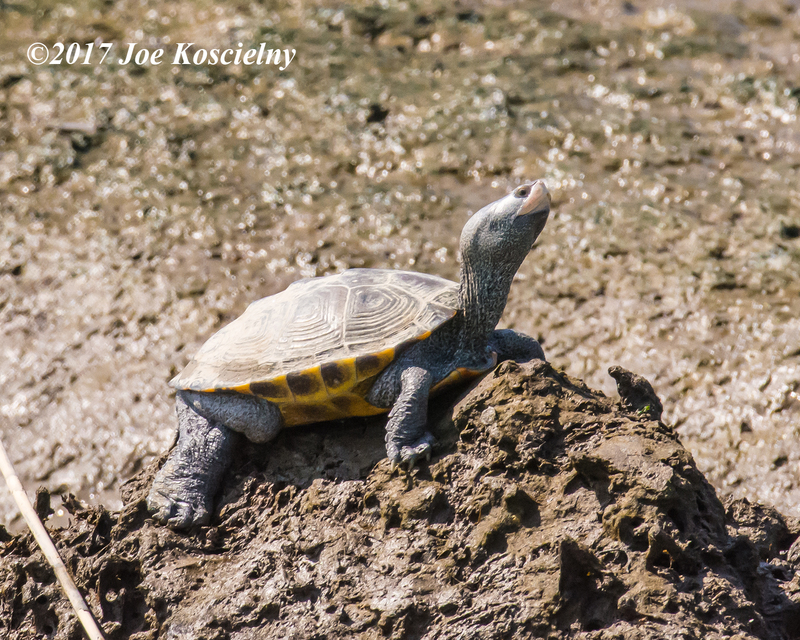 Thanks again to Joe Koscielny for all his great photos! 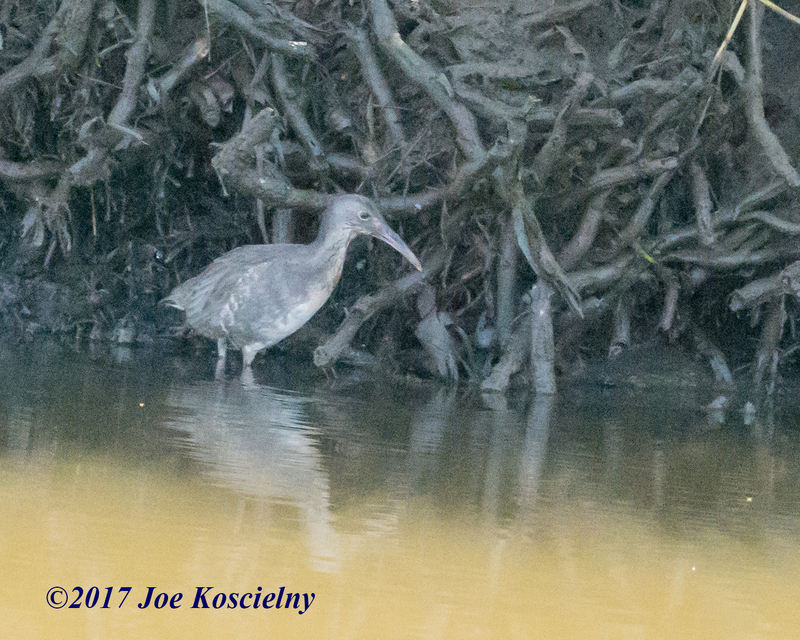 Here’s the second and final batch of Joe Koscielny’s great photos from yesterday’s Birding By Boat tour. How adorable are these turtles! Have a great weekend everyone!